EU urged immediately to release the deputy head of the Mejlis Akhtem Chiygoz and all Ukrainians illegally detained in Crimea and Russia. As UNIAN reports, it was reported and provided in the EU External Diplomatic Service representative’s statement on Monday in Brussels. «Today (11 September, - ed.) 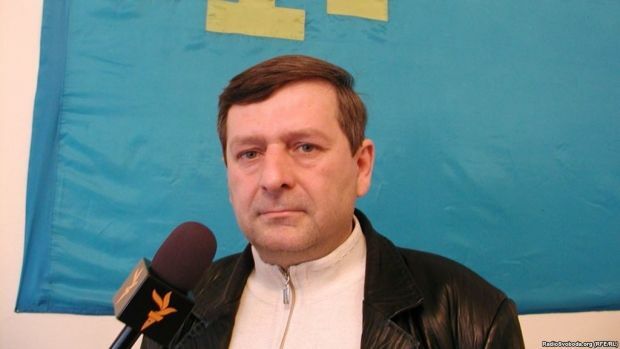 the so-called Supreme Court of Simferopol sentenced the deputy chairman of the Mejlis, Akhtem Chiygoz, to eight years of imprisonment for «organizing mass riots» in February 2014. The European Union has been watching Mr. Chiygoz’s case all the time and insisting on his release, and we are repeating this call today», it is said in a statement. The EU stressed on a ban of the Mejlis of the Crimean Tatars activities and its leaders’ persecution as «the serious and unacceptable violations of their rights». «We expect that charges against another deputy chairman of the Mejlis, Mr. Ilmi Umerov, will be immediately lifted, and we reaffirm our long-standing position immediately to release all illegally detained Ukrainian citizens in Crimea and in the Russian Federation», the speaker said. Previously a website «15 minutes» reported, the Supreme Court of Crimea sentenced Akhtem Chyigoz to 8 years in a general-regime colony on September 11, 2017. Earlier, Akhtem Chyigoz was detained in the Crimea on January 29, 2015. The occupiers accuse him of organizing riots during a rally on February 26, 2014, under the walls of the Supreme Council of Crimea in support of the territorial integrity of Ukraine. The court heard dozens of so-called «prosecution witnesses» for more than two and a half years in Chyigoz’s case. Most those «witnesses» were the Crimean self-defense members. All the photos and video evidence presented to the court proved Chiygoz’s innocence, as none of them showed how Chiygoz had given any commands or encouraged rally participants to take action those days. In March, 2017, the court questioned the Crimean Tatar defense witnesses. Most of them stated in the court that the pro-Russian rally participants provoked to the mass riots on February 26, 2014.